There aren’t many road trips like this one… They come very rare. 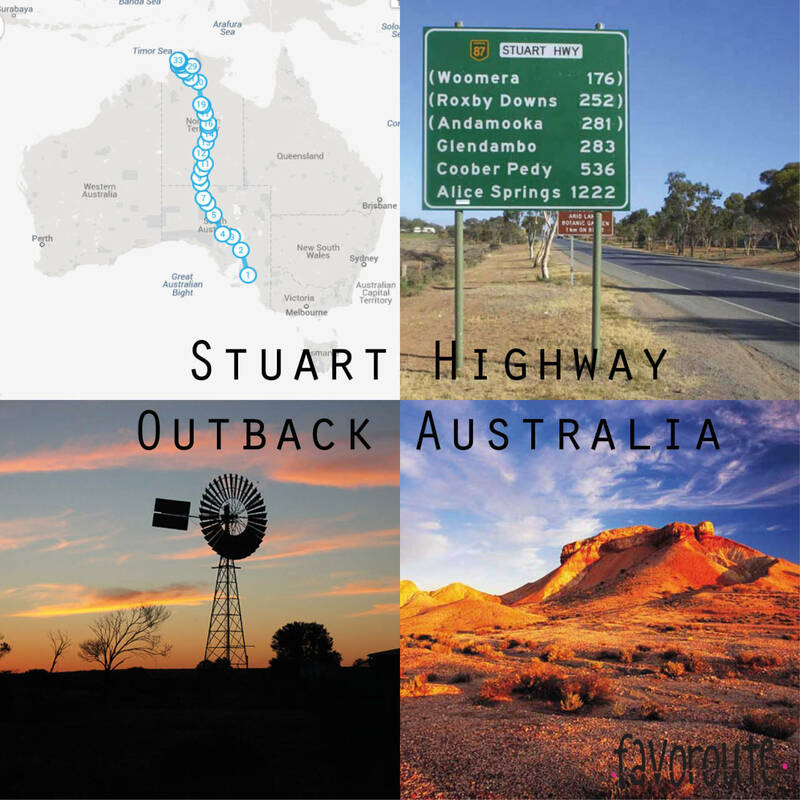 This route is also known as ‘the Track’ and named after explorer John McDouall Stuart who discovered a route through Australia’s inland on several excursions in the 1850s and 1860s. With over 3000 km, this road trip – crossing the entire land of Australia – is not only one of the wildest ones, but also one of the loneliest ones. Expect to travel hundreds of kilometres without others passing by, expect to get into towns with only 20 inhabitants and be lucky to find some fuel and water, and expect to get car trouble and be prepared to repair it. For taking this route you can take the train (http://www.greatsouthernrail.com.au/site/the_ghan.jsp) and expect to pay a high price. A little more adventurous is of course taking your own car or camper van, but for this you’ll need to prepare really well for this! It doesn’t matter whether you’ll start in Darwin or in Adelaide, the route will stay the same. Coming from Darwin you can decide to extend your journey and take the Great Ocean Road trip starting from Adelaide. Ending in Darwin allows you to spend more time in the many wonderful national parks like Kakadu and Litchfield. Along this route you’ll come across the best Australia has to offer: Alice Springs and Uluru, lakes, sand hills, flooded areas, nature and lots of wild animals. One big tip: take your time while driving past the beautiful nature, you’ll probably never take the route again!